Want to know what I'm doing today? Besides cleaning the house, having family game night and working on tutorial writing, I'm watching the awesome videos in the Craftsy class that I chose as my free class that is part of the Ultimate DIY Bundle Bonuses. 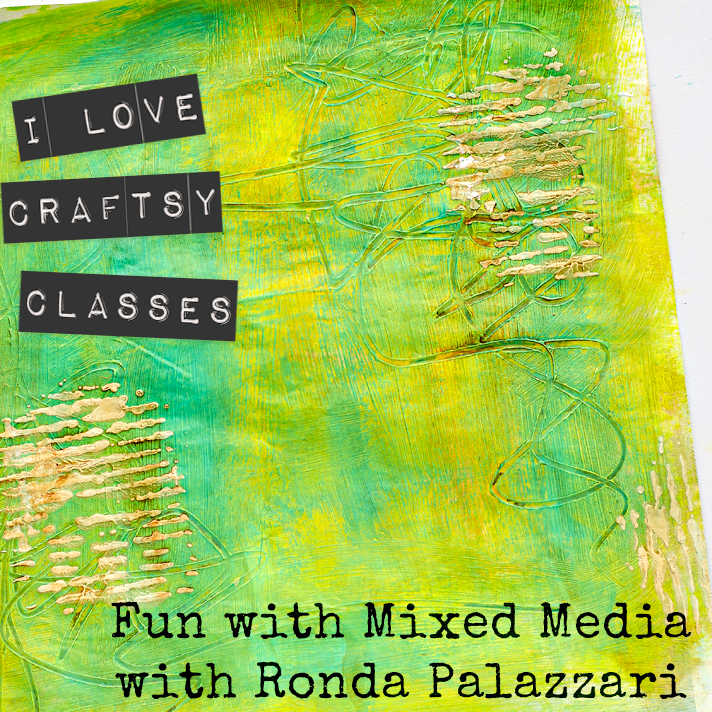 I'm turning junk mail into a mixed media background which is part of the first lesson in the Fun With Mixed Media class with Ronda Palazzari. Can you believe that below started out as a Menards ad? I'm addicted. I love how this is starting out and can't wait to watch and play with the rest of the lessons. 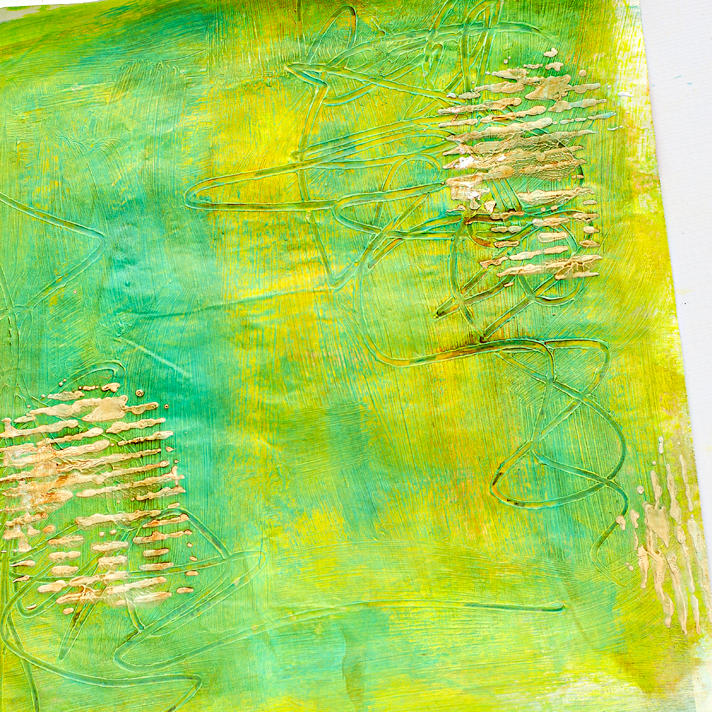 I even used one of her stencils below for Lesson 4, YUM! That's it, all I needed is 15 minutes to complete this background and I've filled my need to create for the day and now I can go back to cleaning and playing games with my family and feel major JOY, my One Little Word for the year! Disclosure: I have included affiliate links in this post. Read the fine print about this bundle and read the answers to frequently asked questions about the bundle. I will receive a small commission on purchases made, using my link. Thank you for your continued support of my blog so I can continue to providing tutorials and inspiration!